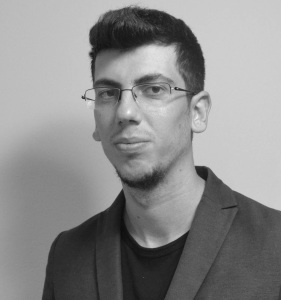 Klajdi Turlla is a young product manager (MPAY) that lives and works in Tirana capital and aims to contribute in the field he works by bringing to Tirana Product Tank, an international meetup platform. Product Tank Tirana will be a quarterly meetup event where product managers from different fields (startups, telecommunication, technology, ect.) can network, connect and get introduced with new products and new practices of product management. To know more about this initiative, we have conducted the below interview with Klajdi. What is Product Tank Tirana? Product Tank is a global organization headquartered in London which organizes meetups in more than 50 cities in the world with more than 50000 members. Product Tank provides an opportunity for Product Managers in Tirana to exchange ideas and experiences about Product Design, Development and Management, Business Modelling, Metrics, User Experience and all the other things that get us excited. Events include talks from guest speakers on topics around product management, networking opportunities. We’re open to companies big and small. We also welcome early-stage technology businesses looking to learn how to get their ideas off the ground. We also have a blog and we encourage the community to get engaged by commenting on or writing new posts for and the world’s largest product conference which takes place in London and San Francisco. Which are the reasons you are bringing Product Tank in Albania? I have been working on Product Management for more than 5 years now transitioning from Sales and Marketing. I think there is not enough discussion happening around Product Management in Albania. Around the world the methodologies of developing and managing a product have advanced with a rapid pace and if we want to compete globally we have to start investing in Product Management. Product is very important and also a very interesting field which leads to some very good discussions. I want that different Product and Project Management thinking in Albania to be presented so some best practices can come out of it. The first event will be quite informal. We will have two amazing speakers both of them with a lot of accomplishments. Elvis Bregu which is Innovation Manager in Vodafone Albania. He has more than 15 year leading products there and has a deep understanding on how a new product is developed and how to grow it. We will also have Emil T. Lamprecht which is a mentor in Google and an Advisor in CareerFoundry and the Head of Accelerator for Yunus Social Business Balkans. He is a product expert and will talk about principles of building a great product. He also helps people start businesses and corporations think like startups so that will be a very good reason for people to come and meet him. What are your expectations for the first event? My expectations is to have a premium event where experienced professionals can come to exchange with like minded people and listen to experts with a lot of experience and accomplishments to share. The event is free to attend and I expect people working in successful companies will be more interested to come. Which are the principles of product management? That is a very interesting questions which I hope we can find the answer during our meetups 🙂 But for me the main principles are Communication, People and Curiosity. Communication is key because the main task of the Product Manager is to communicate among a cross functional team. People is the most important aspect which can make a big difference to a product. And Curiosity for me is essential because of the broad nature of the product management field. A product manager should be curious about everything and never stop learning and exploring new things. How can you define a successful product manager? This is a difficult question because there is no definitive answers like the Product Management field as well. People do not go to school to become Product Managers. Is something that comes quite naturally for people that usually work in Marketing, Development or Design. So it is not easy to define and find product managers. It is not always the best developer or the most talented designer but the one who deeply understands all the aspects of the product and has a clear vision and the right skills to execute that vision. To share their experience and help spread the Product Management philosophy. What goals you want to accomplish by organizing this event? My goal is first to really have a quality discussion around something concrete and from which people can really take one or two things and apply them immediately to their daily job. Then in more general terms is to identify Product Managers in Albania and give them a platform to share knowledge, network and grow. Product Management is a very interesting field and you can read a lot about it, but nothing is more valuable than discussing with your peers and have the chance to meet more experienced people from which you can learn something new. Do you think this meetup platform will change the way Albanian product managers work? I think it will challenge a lot the way they think. There is a big difference between how a product is managed in a Bank in a Mobile Operator or Technology Company. Each one of them has a very different way of thinking about product. Furthermore everything around product is very concrete so if you hear about a new way of developing a product or organizing your team you can go ahead and implement that.